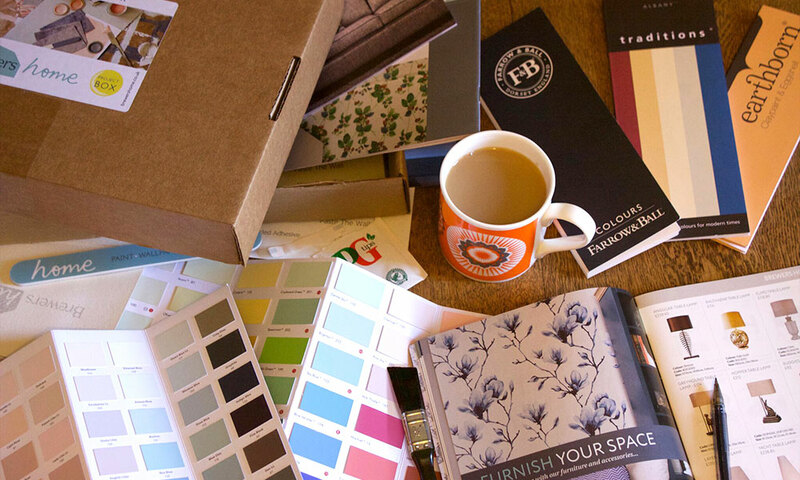 Store all your fabric and wallpaper samples, paint tester pots and ideas in this handy box! A perfect aid to designing your home. This pack includes a Brewers Home brochure full of fabulous products and inspirational ideas, lining paper samples to try out your paint tester pots, helpful information on hanging wallpaper, a selection of colour cards from brands such as Designers Guild, Sanderson and Farrow & Ball, a paint brush, a paint tin lid lifter and a tea bag for break time! Free shipping.